Paxton weighed in Tuesday on a lawsuit against the city of Austin’s labor agreement with the Austin Firefighters Association. Reaching into yet another battle over local control, Texas Attorney General Ken Paxton intervened in a lawsuit Tuesday against the city of Austin’s labor agreement with the Austin Firefighters Association. The deal, known as the Association Business Leave, gives leave to Austin firefighters to conduct association business. Two conservative think tanks – the Arizona-based Goldwater Institute and the Texas Public Policy Foundation – filed a lawsuit against the city in September, saying taxpayer money "in the millions of dollars" is being used to pay firefighters when they are conducting union business. Bob Nicks, Austin Firefighters Association president, called the agreement with the city of Austin a "negotiation" and not a "gift." He said the firefighters association is confident in the outcome of the case. "We had a legal analysis done of this case, and we feel very confident that this case doesn't have much merit," Nicks said. 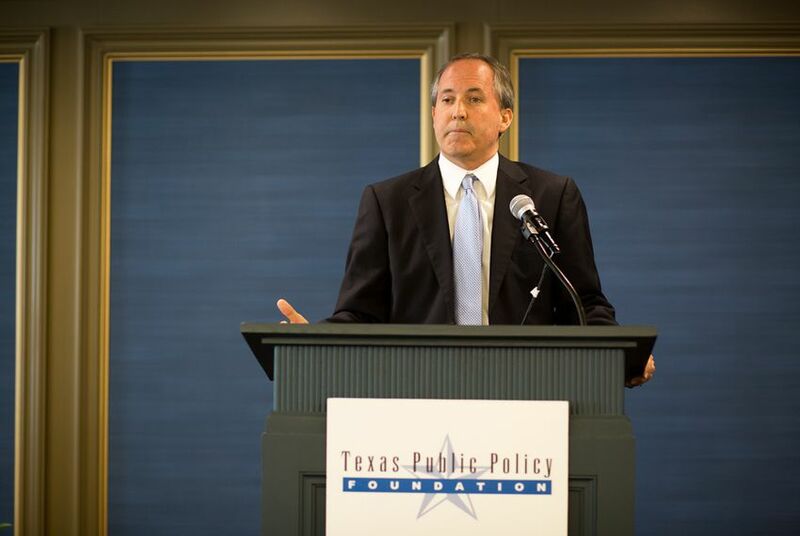 "But Texas is a very tough labor environment and the justice system isn't entirely divorced from politics." In a September post on the association's website, Nicks said the deal between the city and the firefighter association is similar to deals made with the Austin Police Association and the Austin-Travis County Emergency Medical Services Association. "Let me be clear, this lawsuit is a state-wide attack on all public sector employee groups, not just the AFA," Nicks said. "If this is to be our fate then so be it. We have not shied away from tough battles in the past and we are not ready to start now." This is common practice across the state and the nation, according to John Riddle, president of the Texas State Association of Fire Fighters. "Few, if any, elected officials ‘give’ firefighters anything," Riddle said. "The wages, benefits and workplace conditions we have earned are negotiated in contract negotiations. This is missing from the political rhetoric, but firefighters typically make other contract concessions to earn [Association Business Leave]." A city of Austin spokeswoman said Tuesday that the city was standing by a statement released when the lawsuit was first filed in September. “We believe that the business leave practices negotiated between the union and the city comply with state law and are prepared to defend against the claims outlined in the litigation," the statement said. The lawsuit against Austin is similar to a lawsuit against the city of Phoenix by the Goldwater Institute to end the practice for police. The Arizona Supreme Court ruled in September that public employees can be paid public money for their time spent doing union work. Paxton’s challenge is at least his third against a local government in two months. Earlier this month, he sued the city of Brownsville with the support of the Texas Public Policy Foundation over its fee on plastic bags. He also sued Waller County over its ban on guns at its courthouse in late August.